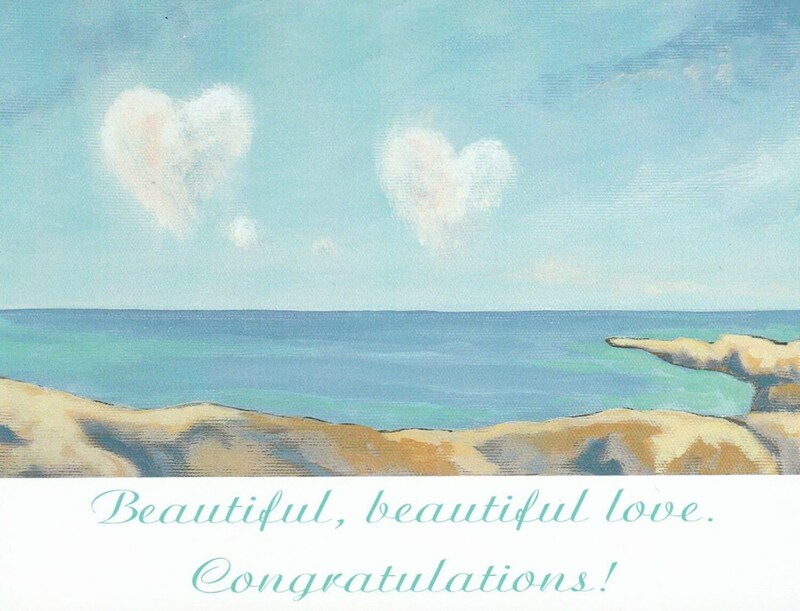 This card can be used for any LOVE occasion or celebration. Two sweet heart clouds grace the coast as a symbol of togetherness. lovely card,perfect color! Simple and tasteful.